It is in fact nothing short of a miracle that the modern methods of instruction have not yet entirely strangled the holy curiosity of inquiry. 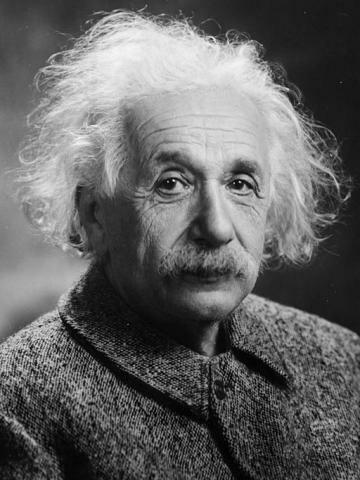 Albert Einstein is considered one of the greatest minds to have lived. He offered countless insights into the way our world works. I believe the above quote may be one of his most profound observations, even though it receives far less notice than his scientific contributions. Einstein believed that real learning lies somewhere beyond rote memorization, especially within the realms of mathematics and science. A focus on isolated procedures, or memorization of steps, often leaves students feeling like math lacks excitement and life. Math seems static. It becomes a concept where all has been discovered and there is to do is just memorize rules. That could not be further from the truth. We owe it to our students to present math in a way that is invigorating and challenging. Reducing math to procedures and practicing those over and over gives a false sense of mastery and makes building connections difficult. Memorized procedures most likely won’t be retained for recall down the road. Approaching mathematics from a “challenging situation” angle allows students to discuss meanings and stretch their learning as they seek understanding versus memorization. With thirteen years of experience in a mathematics classroom, I can look back and honestly say that the majority of my time has been spent teaching procedures. Over the years I have gotten better at challenging my students to reach for understanding. We now spend considerably more time discussing ideas and methods to approach and solve problems. Because of that I have found that I do not need to assign as many repetitive practice problems. My students seem to have grown in their appreciation for our shared time within the classroom wrestling with mathematical concepts versus enduring endless repetition. Although I have made progress over the years as a math teacher, I do not have it figured out, nor am I satisfied with where my classroom instruction is. I am excited to return to the classroom this fall and continue my pursuit of making mathematics approachable, enjoyable, relatable and understandable for my students. I understand that it is my responsibility to guide my students towards a love of learning and to inspire them to success.